How Successful People, Become Even More Successful! What Got You Here, Won’t Get You There is a book dedicated to all successful leaders who continually push themselves and their people to learn and grow for the purpose of getting even better and taking their success to the next level. No one can ever get better without consistent follow-through. In a nutshell, this book emphasized the above statement better than any book of recent memory. 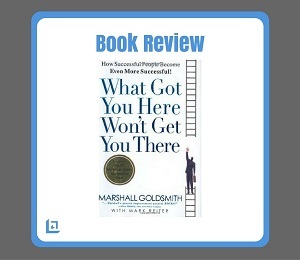 The author, Marshall Goldsmith, walks the reader through a process of assessing their personal leadership traits. During this assessment the reader is asked to reflect on the actions and behaviors that they attribute to their past success, and then decide if those same actions can be expected to achieve the same level of results for a current challenge. The point is, past behaviors that led to success are not guaranteed to reproduce the same results in every situation. "Regardless if you are approaching the top of your mountain climb, or are just beginning in your leadership journey, you must be proactive in identifying and removing obstacles to ensure you meet your goal." 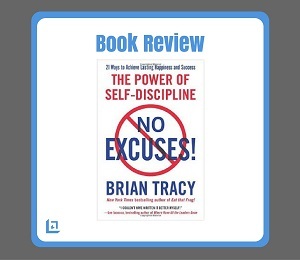 He skillfully takes his readers down a path that includes twenty-one key habits that have proven to be key reasons why some people don't make it to the top, or get held back for a longer period of time. While of these reasons might seem obvious at first, you may be surprised as to the reasons provided. No matter how well established you currently are as a leader you're bound to find a few nuggets of truth that you can adopt for self improvement and professional development. What Got You Here Won't Get You There: How Successful People Become Even More Successful is unique in that the author not only explains what we must do better, more of, and improve upon – but he also explains the importance of consciously NOT doing certain things that get in the way of our success. Making excuses for our failures or shortcomings... and many more. Goldsmith explains that in order to ensure you are giving full consideration to your approach for every new challenge, you should never assume that what worked so well in a prior task can be counted on to do the same in the current endeavor. Sometimes you may be able to improve upon what you did before by making the smallest of adjustments, which can provide a substantial improvement in the end result. 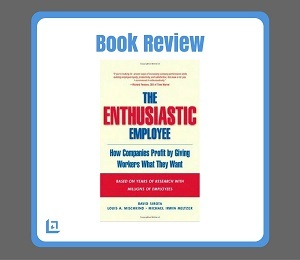 The author explains that out of the tens of thousands of business executives who have attended his lectures or read his books, only about 70 percent ever follow though on anything they learned, or actually did something about what was holding them back. While some might say that 70 percent is a pretty good success rate, Goldsmith focuses on the fact that 30 percent of these so-called "highly intelligent, highly influential business executives" fall under the “non-compliant” category – which could be labeled as “non-leaders”. Perhaps that is why they were sent to one of his seminars? Or, perhaps they just lack any personal insight as to their challenges for leadership development? Regardless of the reason, the author makes every effort to assist those in need of assistance to rise higher in their leadership skill-set. What Got You Here Won't Get You There: How Successful People Become Even More Successful is meant to convince the reader that the best time to change – is NOW. "When you can address uncomfortable issues in a non-threatening way, not only does the leader get better, the whole team benefits." Without follow through, every new initiative quickly becomes a “program of the month”. Follow through is how you measure your progress and it’s how you send the strong message that you are committed to the task at hand. As a leader it is up to you to display the same traits and qualities that you expect from your workforce, and to always be working to improve yourself because What Got You Here, Won’t Get You There, meaning your current skill-set will only take you as far as your current standing. Another key insight shared by the author is that leaders should stop trying to coach people who don't want to be coached. He says what we all know but don't like to believe is true... some people are not salvageable. If the person thinks he has it all figured out then his results should reflect that. If the results do not support his theory, and he isn't open to feedback, then a leader is wasting time trying to change someone who lacks basic insights. You're better off letting that individual find happiness elsewhere, and focus your time on getting someone in that role who wants to learn and grow alongside the rest of the team. 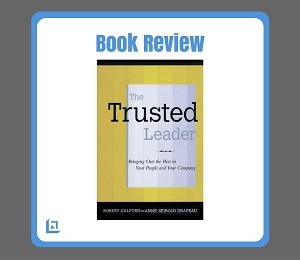 This is only a small sample of the many leadership lessons shared by the author and we fully recommend this book to our readers. We encourage our readers to add What Got You Here, Won't Get You There to their personal leadership library.